Fire sprinkler servicing and maintenance is important to ensure the systems will operate as designed in the event of a fire. In many situations a regular fire sprinkler service by a qualified engineer is a requirement to maintain certificates of conformity, Landlord assurances or for insurance purposes. 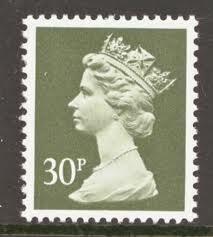 It is also part of the BS9251 British Standard. What is involved in a Fire Sprinkler Service? 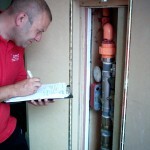 Sprinkler heads & pipework – checked to ensure their functionality is not impeded. On successful completion of a safety check or service the fire sprinkler system will be re-certified as compliant. How much will it cost to service my sprinkler system? How much would you pay for a silent sleeping fire fighter in your home, protecting you and the family? Can Ultrasafe Service my Sprinkler System? Ultrasafe offer safety checks, servicing and maintenance contracts on all our installed fire sprinkler systems and in most cases on systems supplied by others. We have a 24 hour number in case of emergency to ensure you receive priority at the time you need it most. All our engineers are trained and certified to work intuitively on all makes and types of sprinkler. This ensures that we have well managed and coordinated regional engineers to promptly respond to calls. We strive to deliver the highest quality servicing, call outs and maintenance contracts at competitive prices. Ultrasafe look after the systems that look after you. If you have a system and need a quote for servicing or maintenance contact us now. * calculation based on minimum fee and a quotation should be obtained prior to engaging in a commitment .